Read full article published Today at Finantial Times. com. 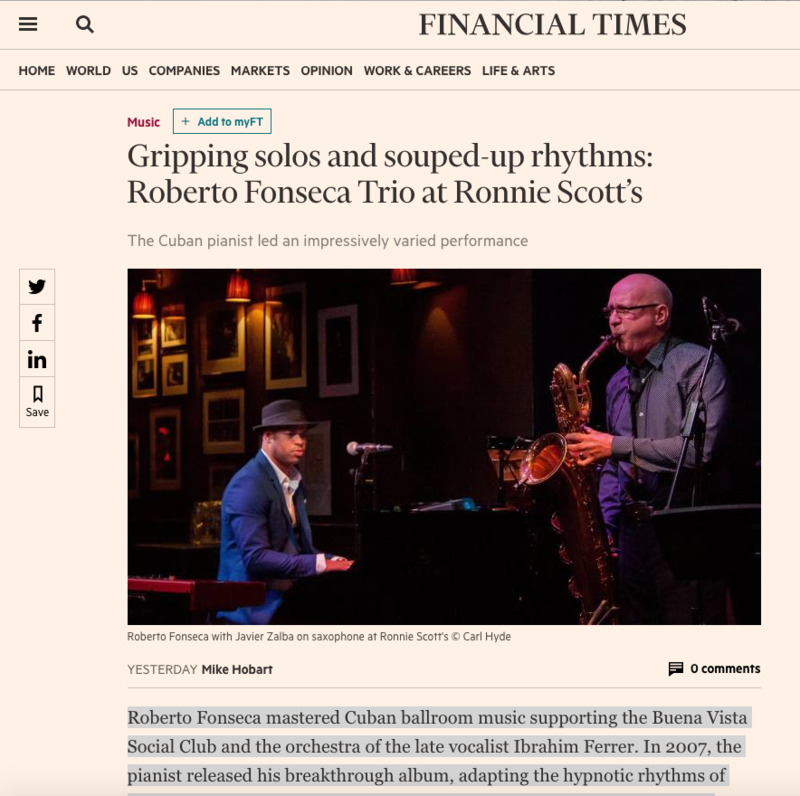 Roberto Fonseca mastered Cuban ballroom music supporting the Buena Vista Social Club and the orchestra of the late vocalist Ibrahim Ferrer. In 2007, the pianist released his breakthrough album, adapting the hypnotic rhythms of mambo, cha-cha and salsa for the concert stage. The flamboyant gestures remained at this tight-knit trio gig, but here they were surrounded by intimate details and became explosive peaks in a continually unfolding journey.